Nowadays, mesenchymal stem cells (MSCs) have elevated the hopes of patients excruciated with incurable and/or disabling diseases. 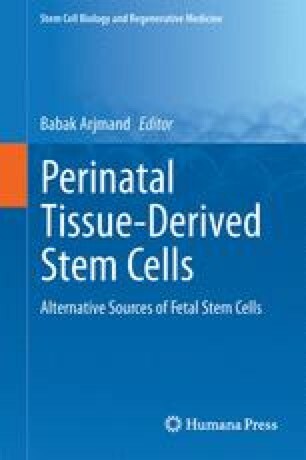 Amniotic membrane-derived mesenchymal stem cells (AMSCs) have considerable advantages over clinically administrated MSCs like bone marrow in terms of availability, no ethical concerns, less DNA damage, higher proliferation ability that introduce them as a potential stem cells with clinical applications in the promising field of regenerative medicine. In this chapter, we analyzed the characteristics of AMSCs in terms of critical points considered for clinical application especially in comparison with MSCs retrieved from other sources. We also describe previous studies concerning the therapeutic applications and discuss potential pitfalls in research for AMSCs.